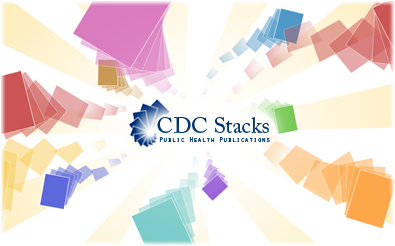 CDC Stacks is a free, digital archive of scientific research and literature produced by the Centers for Disease Control and Prevention (CDC). This online archive is composed of curated collections tailored for public health research needs. This repository is retained indefinitely and is available for public health professionals, researchers, as well as the general public. CDC Stacks provides access to current CDC research and literature such as the Open Access Collection. In addition, CDC Stacks offers a historical perspective that was previously not available, such as the first 30 volumes of the Morbidity and Mortality Weekly Report. As a fully-featured repository, CDC stacks provides the ability to search the full text of all documents, browse journal articles by public health subjects, and explore the curated collections of documents on relevant topics. Additional collections and ongoing additions to existing collections are planned for the future. Information that is created by or for the US government on this site is within the public domain. Public domain information on CDC Stacks may be freely distributed and copied. However, it is requested that in any subsequent use of this work, CDC be given appropriate acknowledgment. The respective copyright holders retain rights for reproduction, redistribution and reuse. Users of CDC Stacks are directly and solely responsible for compliance with copyright restrictions and are expected to adhere to the terms and conditions defined by the copyright holder. Transmission, reproduction, or reuse of protected material, beyond that allowed by the fair use principles of the copyright laws, requires the written permission of the copyright owners. U.S. fair use guidelines are available from the Copyright Office at the Library of Congress. If you see information on this site that you believe is protected by copyright laws, please contact us immediately by sending an email to stackshelpdesk@cdc.gov.